Your help is wanted for a new quest issue to bring the first native ES6 Classes to Ember internals, following the related RFC. The community is asked to report which Service features are widely used, so that work may begin. Check out the issue description for the full details on which statistics to submit or join the discussion in the related Ember Community Slack channel, #st-es-class-services. A patch release of ember-cli 2.18 landed this week, which updated testem's arguments on TravisCI to work around an issue in Travis which causes headless Chrome test runs to fail. 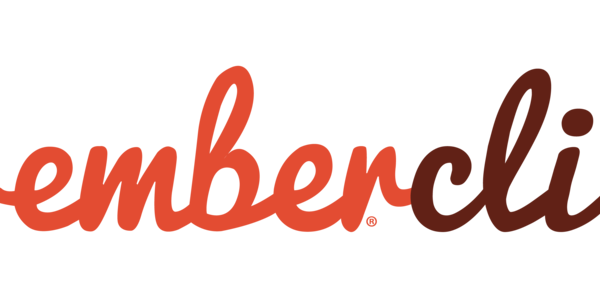 Other test-related updates to ember-cli include upgrading to testem 2.0, a series of PRs to clean up internal tests to use broccoli-helpers (1, 2, 3) and adding Ember 2.18 LTS to the ember-try config for the forthcoming 3.0 release of ember-cli. Two rough patches were smoothed out as well with this PR to treat the lib folder as node files for ESLint purposes, while this PR updated ember-cli to install optional dependencies when creating a new project, fixing a problem for users creating Glimmer.js apps. Progress was made on the Module Unification front in ember-resolver as two PRs landed to add support for module unification namespaces in glimmer-wrapper (4, 5). The let template helper RFC (Request for Comments) was finally merged. The helper allows users to create blocks in which properties can be bound to specific values and then used inside the block, all done inside the template. You can read more about its use cases in the full proposal as well as trying it yourself by turning on the ember-template-block-let-helper feature flag in canary. See also the Feature Flags guide for more instructions. The crucial RFC proposing the splitting of Ember into composable modules has entered the final comment period this week. It’s an important step towards a future where you can install from small-scoped Glimmer to ambitious Ember apps. Also, the RFC for making jQuery fully optional in Ember apps and aiming to reduce overall bundle size of the framework is waiting for the last comments. Two new and fresh RFCs have just been opened this week, too: first a proposal for deprecating Ember.Logger, a left over from the old days when browsers lacked native logging tools, and second, a proposal for deprecating Component Lifecycle events in favor of lifecycle hooks. Two new runtime flags are now available through the @ember/optional-features package: the removal of the application template wrapper element and optimized template-only components. This means that users will be able to opt-in to using any of these two features in their future Ember apps. On another note, an RFC proposing the deprecation of resetNamespace has been closed this week due to popular use of related features in real-world apps. The resetNamespace API allows you to rename routes arbitrarily, even if their namespace was defined differently by their nesting hierarchy. It lives on and will not be deprecated- for now. Furthermore, recent updates to Ember included stabilizing the test suite, API changes for the Array and Enumerable classes in Ember, lots of bug fixes (1, 2, 3, 4, 5, 6) and many other contributions (7, 8, 9, 10, 11, 12, 13, 14, 15, 16, 17, 18). This team is busy turning some legacy pieces of Ember’s public websites into modern Ember apps! For example, check out an incredible, rapid conversion of the statusboard app by @rwwagner90 and ongoing progress on the deprecations app (1, 2, 3, 4) by @serenaf. Missing deprecations are tracked in this related issue. Many contributors are following through on the quest issue for updating urls of the internal API documentation; some updates already landed! Last, but not least, work went into some devops, including package updates and upgrading the test suite to the new Ember QUnit API (10, 11).